INNOSKILL 2019, the Annual Technical Fest of Manav Rachna Educational Institutions (MREI) concluded today with a gala award distribution ceremony. The event was presided over by Dr. N C Wadhwa, DG, MREI; Dr. Sanjay Srivastava, VC, MRIIRS; Dr. I K Bhat, VC, MRU; Er Anuj Sinha, Director, FGSI and other representatives from the participating schools and colleges. More than 2000 students from Universities, Colleges and Schools across Delhi NCR had participated in a plethora of technical events including a Project Exhibition, Techno-Vogue (a themed Fashion Show), Competitions (TechSol, Srijan, Contraption, Robo Wars), Rangoli, Science Quiz, Science Based Drama, Drawing Competition, Poster Making Competition, Awareness Program, and Workshops. The first prize for the Fashion Show ‘Techno-Vogue’ went to Daulat Ram College from Delhi University. 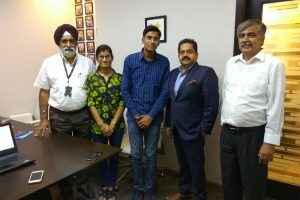 Shivam Sharma from Faculty of Engineering, Manav Rachna International Institute of Research and Studies (MRIIRS) won the “Best Male Model” title. Ms. Gunjan from Faculty of Applied Sciences, MRIIRS was crowned as the “Best Female Model”. 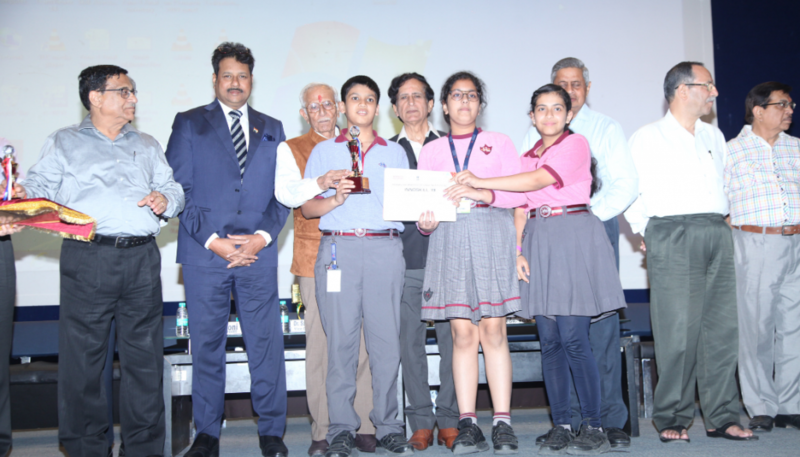 In the Digital India Workshops: The first and second prize went to Rachna Negi and Sejal Chaudhary from GGSSS, Sector 8, Faridabad respectively. The third prize in this event was won by Aarti Bindra from Govt. High School, Indirapuram, Faridabad. A short film titled ‘Moksha’ won the first prize under the 24 hour Film Making Challenge. The film was developed by students of Manav Rachna. Earlier in the day, the entire Manav Rachna family paid a soulful homage and tribute to Founder Visionary Dr. O P Bhalla on the 6thFounders Day today. The day began on a pious note with beautiful bhajans sung by students of MRIS Charmwood at Prerna Sthal—Dr O.P. Bhalla’s memorial–bedecked beautifully with a profusion of blooms and garlands. Well known singer and cricket commentator Mr. Padamjeet Sehrawat also sang a beautiful composition on Dr. O P Bhalla. It was here that the entire Manav Rachna family paid their floral tributes. A spiritual CD ‘Aatm Sangeet’ of songs composed by Dr. M M Kathuria was released on the occasion. Ms. Chandana Kapoor and students of MRIS Charmwood: Ishika, Shreya, Saanvi, Maanvi and Harsh Vardhan have lent their voice to the songs in the CD. The music has been given by Mr. Kamal Joshi. This was followed by a havan ceremony in keeping with the spiritual mood. 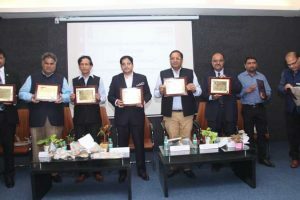 An annual lecture on ‘Education 4.0 and Academic Libraries’ was also held at Dr O P Bhalla Central Library of the campus. Dr. Ramesh C. Gaur, Director (Library and Information) & Head, Kala Nidhi Division, Indira Gandhi National Centre for the Arts was the resource person at the centre. 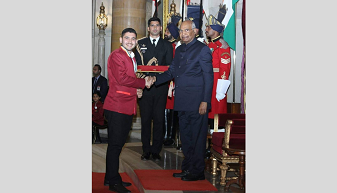 Team Spiro Studios of Manav Rachna bags Infosys’ prestigious First Infy Maker Awards, India, in the health category and wins a cash prize of Rs 5 lakhs!